Owww yes. We’ve set the dates for our 19th edition; 15th – 19th of October. 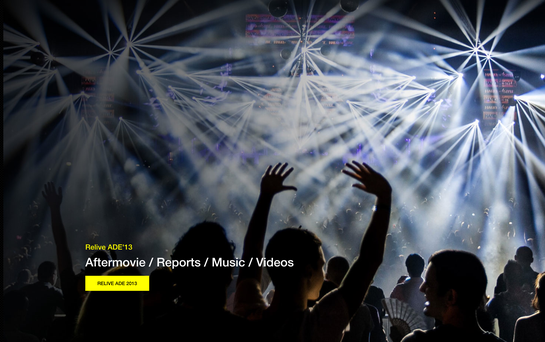 Although ADE’13 still feels like yesterday, we are already planning ahead to make sure that 2014 will be even bigger and better. Dance music is conquering the world and the growth seems unstoppable. October far away? Think again!